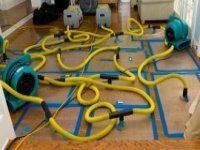 Our technicians are fully trained and experienced in dealing with almost any type of flood from large house or factory floods to multi-storey apartment blocks. We have one of the largest range and amount of drying equipment of any company in the industry. 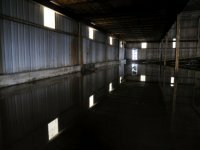 We use the latest technology in flood and fire damage restoration and have a team who can respond within 90 minutes. 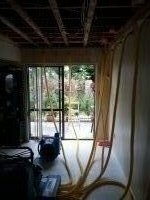 We can clean, dry, restore and house, water and fire damaged contents. 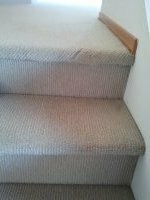 Dry carpet cleaning using encapsulation technology or powder dry cleaning with power vacuum, bonnet and buffer for fast turnaround of cleaned carpets. 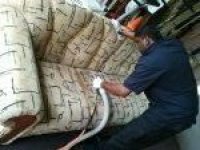 Commercial or residential cleaning of almost all types of fabrics for all types of furniture. 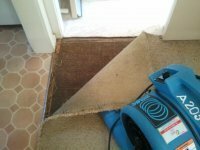 Damaged carpet can be repaired by invisible patching, re-seaming and general repair. Power stretching machines are used for any large areas or difficult relays. 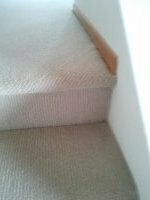 Approved and effective chemical products and applications that actually work on carpets and fabrics. 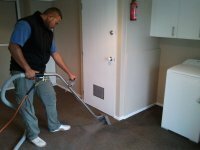 Thorough pest control treatment by an approved handler using the latest technology and procedures.